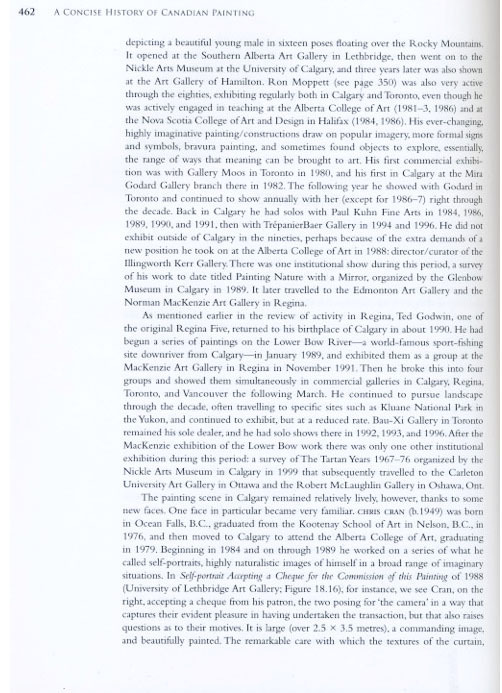 Two of Cran's works, 'Black Painting #1' and 'Tiara' are included in 'Abstract Painting in Canada' edited by Roald Nasgaard and published by Douglas and McIntyre, and Art Gallery of Nova Scotia, 2007. 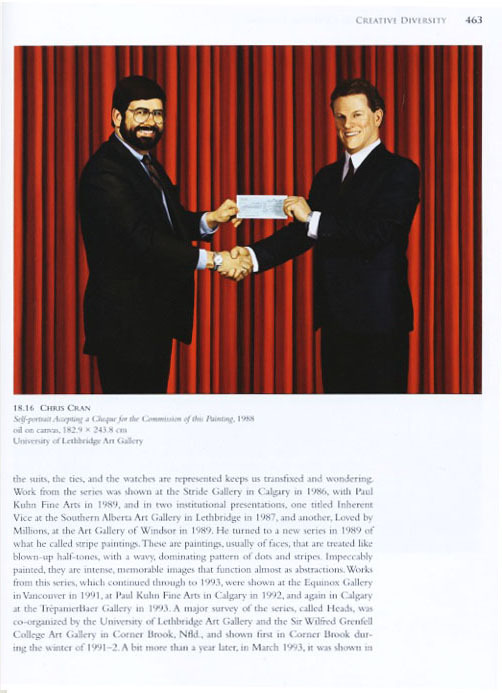 ​Alberta based artist, Chris Cran has been described in The New York Times as a painter who "…has built a career on tampering with people’s perceptions." Widely exhibited across Canada and internationally recognized, Cran has become known for turning nothing into something, with the slightest push. 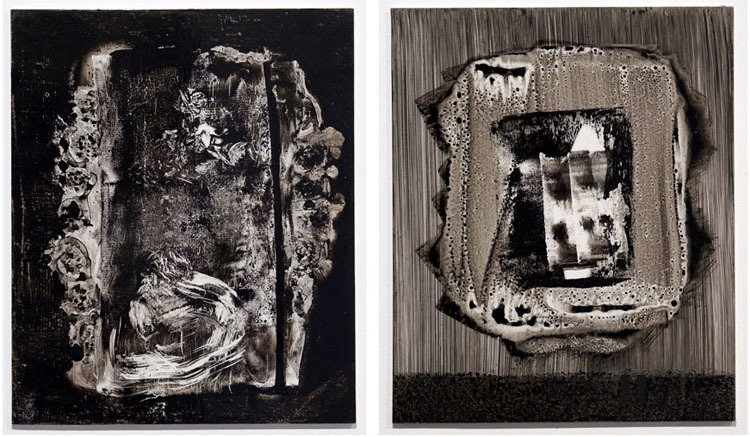 Cran’s paintings, included in numerous Canadian collections, have to do with visual tricks, images that appear one way but have been made another way. Currently the studio fellow for The Banff Centre’s Visual Arts Optic Nerve Residency, Cran has been named as the recipient of this year's Keith Evans Memorial Scholarship.